Carol Reeves is the Artistic Director of the Georgia Children’s Chorus (GCC), a position she has held since 2004. Carol was also Director of Children’s Music Ministries at Athens First United Methodist Church for eighteen years. 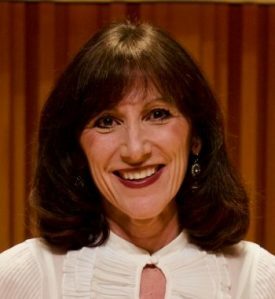 She served as the Georgia American Choral Directors Association (ACDA) Repertoire and Resource Chair for Children’s and Community Youth Choirs from 2014-2016. Carol has over thirty years experience in directing children’s choirs and teaching music to children in schools and churches in Georgia, Kentucky, and North Carolina. Singer fee includes snacks and lunch. We have arranged for rooms at the Courtyard in Decatur for $149 per night (not including taxes). The hotel has an indoor heated swimming pool. Decatur is a friendly walking city. There are lots of restaurants within walking distance of the hotel. Decatur First UMC is also a few short blocks from the hotel. Parking is available at the hotel for automobiles but not for church vans. If traveling in a church van or bus, please plan on dropping off your group at the hotel and then parking in the large parking lot behind the church.